My second Lola Box is here, yay! If you don't know about Lolabox, it's basically a monthly subscription service where you will get monthly boxes filled with a handful of deluxe size samples specifically based on your personal beauty profiles. I've been waiting for this subscription service for months and months ever since I read about them on US & European beauty blogs as well as watched it on youtube. Lola Box is one of the first monthly subscription box service in Indonesia, they just launched last month, and if you missed it you can see and read about their first box here. So I assumed that mostly everyone has received theirs by now because I've read a couple of blog posts who has already posted about it. And from reading those posts I know that some of us received different items on our boxes, and I suppose it's according to our own preferences when filling in the beauty profile on Lola's website. 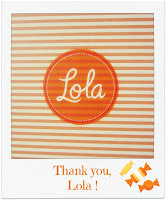 Now when I opened the box, I found a super cute orange striped box which is totally a different design than the first Lola Box! Both of the Lola boxes (from the 1st box and this 2nd box) are equally cute and pretty, and if every shipment would have different boxes like this then I would be happy to collect them. Look at this super adorable orange striped box, I freakin' love it! I could use this box as extra storage and it would look pretty on my desk or my bedroom. 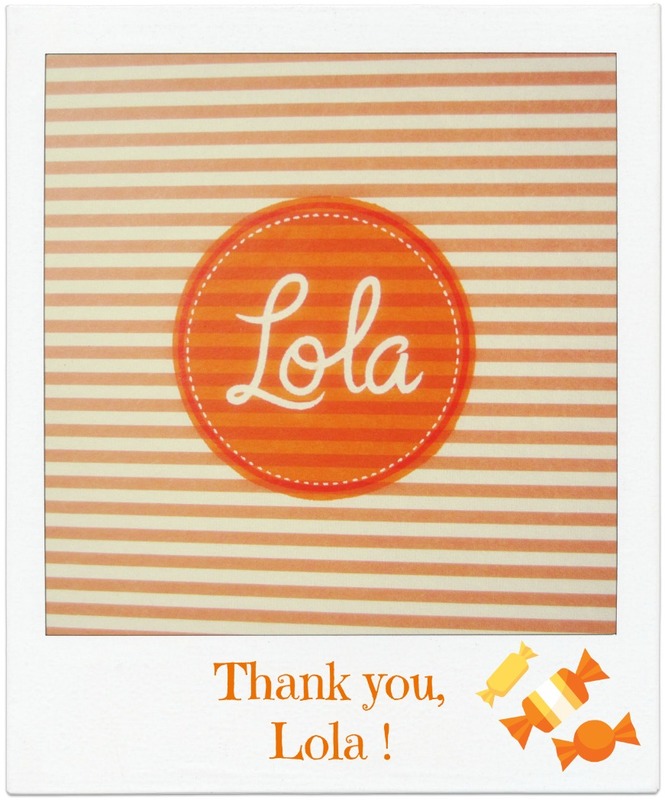 Okay, the first thing I see is this card with some nice words from Lola, letting us know that this month's box theme is: Hello Sunshine. On the back of this card is the whole run down of all the items included in this box. Beneath the card I see a scented envelope (which I couldn't stop sniffing because it smells sooo goooodd...! ), filled with brochures of the items included and a discount voucher (more on this later). Okay, so let's just open up the bow now, shall we? Although there are less products compared to the first box but I still love this one because most of the products here are deluxe samples which means it's bigger than usual samples sizes. I also love that they give 3 full size products this time! WOW! I think this box's actual price exceed the price that we pay for Lola box which is IDR 145.000. This box certainly worth more than that. Voucher: 20% Discount for SKin79 products at Beauty Couture. The full size products in this box are: the Make Over Liquid Foundation and both of the Masami Shouko sponge and puff. The Make Over liquid foundation itself is retailed at IDR 119.000 and the Masami Shouko cleansing sponge and the velour puff are worth IDR 23.900 & IDR 28.900 respectively. So just as I told you above, this box worth more than what we've paid, so I'm pretty satisfied with it and hopefully Lola Box will continue to give great products like this. This amazing sponge can revitalize skin, stimulates blood circulation & exfoliates unwanted dead skin cells. A powder puff made of special material to pick up and hold powder. Black puff allows you to see how much powder you pick up. This super soft liquid foundation won't make your face look oily and the soft focus agent formula will keep your face skin feel moisturized. A moisturizer with incredibly soft, fluid and lightweight texture to ensure radiance and comfortable skin all day long. A sunblock designed for those who live in big city, with extract organic cantaloupe and a triple protection shield against UV rays, pollution and oxidative stress. The most advanced brightening serum to reduce dark spots, promotes a flawless complexion and also brings healthy-looking transparency from within. This toothpaste helps inhibids bad breath known as halitosis while providing total care of your mouth. One of the hottest selling BB Creams on the market, this BB Cream takes care of the base as well as color makeup and allows the skin to look bright and natural without greasiness or feeling tight. So effective and very easy to apply. Perfect for the everyday lives of modern and dynamic women.